After accepting Colorado’s first-ever water plan at a press conference in Denver on Thursday, Gov. John Hickenlooper downplayed the prospect of future transmountain diversions of water from the Western Slope to the Front Range. “What comes through loud and clear again and again in that water plan is that there ought to be ways to make sure that we have sufficient water to satisfy the growth along the Front Range without diverting the water across the mountains,” Hickenlooper said. The need for more water from Western Slope rivers to meet growing population needs between Fort Collins and Pueblo has dominated much of the discussion among various river-basin roundtables in Colorado over the last two years as the water plan was developed. Colorado has more than 25 such transmountain diversions in place today, including in the headwaters of the Colorado, Roaring Fork and Fryingpan rivers, and up to 600,000 acre-feet can be moved east in a given year. The governor’s remarks seemed to please representatives from American Rivers and Western Slope Resources on Thursday, as they sent tweets quickly noting the governor’s take on diversions. Thursday’s press conference came during a break in a regular meeting of the Colorado Water Conservation Board, which is charged with managing the state’s water supply and whose staff has worked intensely hard on developing the water plan, which was due on the governor’s desk by Dec. 10. At the CWCB meeting after the press conference, Joe Stibrich, the water resources policy manager of Aurora Water, and a member of the Metro basin roundtable, offered to the board members a different take on the future than the governor, and did so through something of a manifesto from Front Range water interests. “I’ve had the privilege of working with CWCB staff, and other roundtable and other Interbasin Compact Committee members, in the collaborative, and I’d say often spirited, discussions that has lead to Colorado’s Water Plan,” Stibrich said. “These discussions have taken place since 2005 over the course of literally hundreds of meetings. “And I believe these discussions have lead me, and I hope the other participants, to a deeper understanding of the water-related needs for all river basins and for all beneficial uses of Colorado’s water resources, and also the solutions to address those needs. “The Metro roundtable represents water interests in the Denver metro area, but within the S. Platte basin. While those interests are predominantly municipal and industrial, or M&I, our membership also includes agricultural, environmental, recreational and other interests. This has given us the opportunity to learn from each other and work toward common goals. “Once development of the basin implementation plans began as part of the roundtable role in Colorado’s Water Plan, the Metro and S. Platte realized that a basin implementation plan (BIP) for the combined roundtables and the entire S. Platte basin made sense, as we had many common interests and that successfully meeting the needs of the basin could only occur if we worked together. “We especially recognized that without a unified BIP, agricultural buy and dry would continue as the default solution to addressing the basin’s M&I gap. 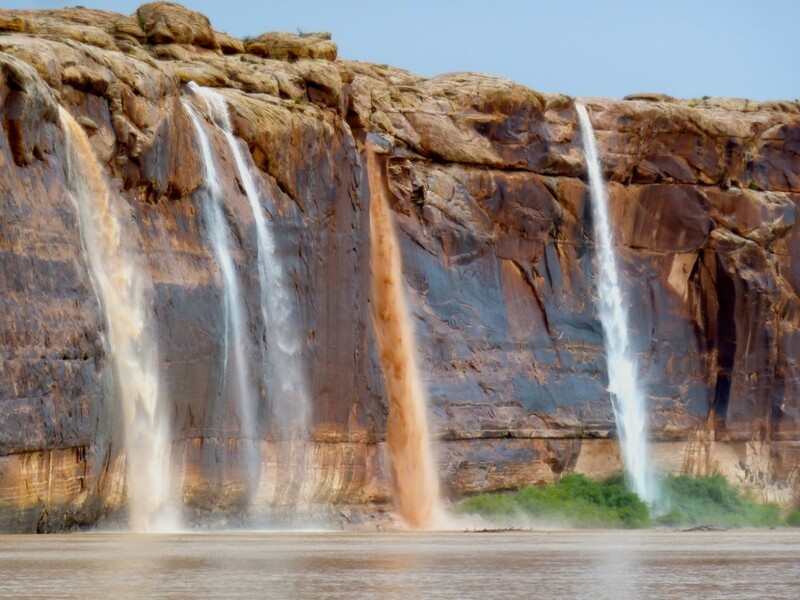 The S. Platte BIP identified areas of focus whose successful completion will be integral to meeting the basin’s gap and ensuring that Colorado’s future needs are met. “These are predicated on finding balanced solutions that equally promote conservation and resource, development of identified projects and processes, agricultural transfers, and preserving the ability to utilize Colorado’s entitlement under the Colorado River compact for the benefit of entire state. The development of additional storage was also identified as an essential tool for implementing these balanced solutions. “The Metro roundtable will concentrate its future efforts on implementing its BIP, prioritizing balanced solutions. And in doing so, we fully expect to continue working collaboratively with the S . Platte basin roundtable. “The IBCC offered us all an opportunity to identify issues and concerns that went beyond geographic and political borders. We openly discussed potential solutions, identified no-and-low regret alternatives that should be pursued in the interest of the state, and explored and developed the framework for exploring and discussing the potential development of future transbasin diversions. “Frankly, the members of the IBCC faced criticism among many members of their respective roundtables, with many believing that their representatives went to far in implying any agreement to this framework. But I believe the framework is an important piece of the plan. It protects the ability of the state to develop our compact entitlement on the Colorado River, providing a balanced approach to meeting the state’s overall needs. “We obviously still have many challenges ahead. While the plan provides an overall approach to move forward, we need to recognize that the many and varied water interests in this state will not stand still waiting for someone else to address their futures. “For example, buy and dry is still the least expensive and only viable option for many smaller water providers, and without additional help from others, including support from the state, they will continue as they have in the past. “Another challenge we face is meeting the M&I gap in a meaningful way, while recognizing the vital importance of preserving the quality of life associated with the urban landscape. “Benefits from urban landscape range from better air, surface water and groundwater quality … providing surfaces for leisure activities, to enhanced aesthetics and improved mental health. Solutions that compromise the valuable contributions of these benefits to our local and state economy need to be considered cautiously. “Slow but significant progress was made by the IBCC and basin roundtables since the year 2005. Frankly, I think this was set back some by the deadlines imposed by the executive order to develop Colorado’s Water Plan in a short time frame. And it caused many of the parties to pull back to earlier positions that were more directed toward protecting their own interests rather than moving forward with collaborative solutions. “The plan did force us all to realize that we have a way to go to truly address the state’s need on a statewide basis. But now that the plan is final, I believe we can now move forward again with the cooperation and support of the state to develop and implement solutions using the plan as a guide that will address Colorado’s needs,’ Stibrich said. 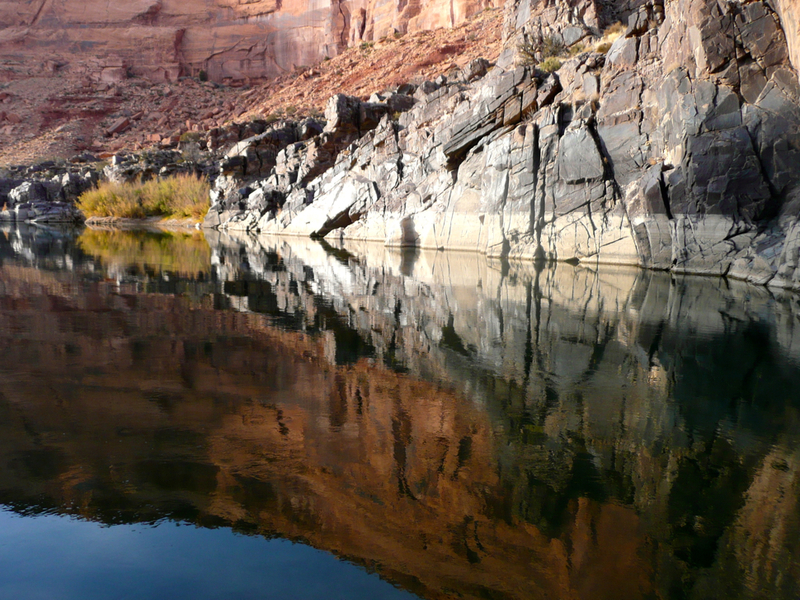 The goal of “preserving the ability to use Colorado’s entitlement under the Colorado River Compact to the benefit of the entire state” is one way referencing the future ability to use more Western Slope water on the Front Range. 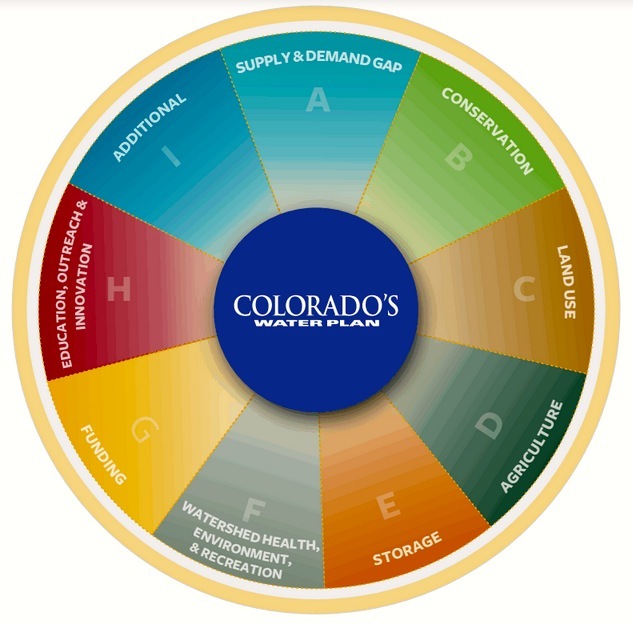 While the publication of the Colorado Water Plan clearly did not end the conversation about the possibility of moving more water to the Front Range, the plan does list eight primary goals, or “measurable outcomes,” that give something for every water professional in Colorado to work on. “Now we all share the responsibilities of implementation,” Hickenlooper told the crowd of over 100 people gathered on Thursday at History Colorado for the release of the plan. A screenshot from the website for Colorado's Water Plan. And it seeks to “investigate options to raise additional revenue in the amount of $100 million annually” in order to help pay for new water projects. Editor’s note: Aspen Journalism is collaborating the Glenwood Springs Post Independent and The Aspen Times on coverage of rivers and water in Colorado. The Times and the Post Independent published this story on Friday, Nov. 20, 2014.